When Dr. William E. Mason and Dr. Monica A. Lamble decided to update their website, making it easy to read and navigate was a high priority. William E. Mason Periodontics & Dental Implants already used their website to provide patients with a wealth of interesting and relevant information about oral health. However, their website didn’t take full advantage of design techniques to make it easy to discover the information. Ohno Design created a website that preserves the informative nature of their former website while making it easier to navigate and find the answers patients seek. Click here to visit the website and learn more. You’ll come away with a strong sense of how much Dr. Mason, Dr. Lamble, and the entire staff care about your comfort during treatment. 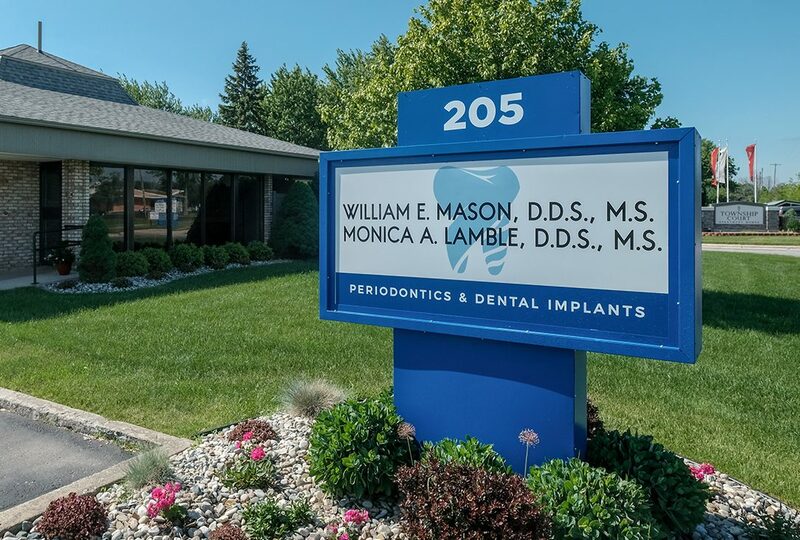 Before we helped Dr. Mason and Dr. Lamble with the website, we created a branding package for them, including a new logo and a fresh look for the sign outside the building.